Great sweet romance and inspirational romance ebook deals. 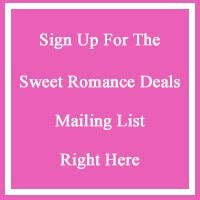 Sign up for the Sweet Romance Deals mailing list to get book recommendations delivered straight to your inbox. Meeting her was just the tip of the iceberg. Curtis wants to build his catering business, not get distracted by the beautiful woman next door. When his business partner’s penchant for betting catapults him into an unexpected date with Hannah, Curtis falls in love. Hannah wants to be left alone in her cocoon of reading and gardening. She never asked to have her life of solitude interrupted. Her heart isn’t ready. Time hasn’t healed all wounds. How will she let go of her past and give love another chance? Buy Now and see how love melts their hearts. 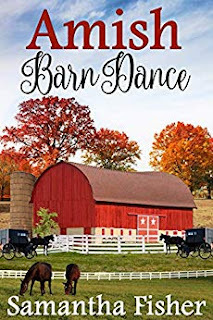 When Hannah Lapp decides to enter the matchmaking gathering for the youth, one mishap after another seems to keep her away from the object of her affection: Seth Yoder. From a fallen cake to getting caught in the middle of a love triangle, things are not going well for Hannah. Can she turn things around, or is she doomed to miss another wedding season? www.sweetromancedeals.com is a participant in the Amazon Services LLC Associates Program, an affiliate advertising program designed to provide a means for sites to earn advertising fees by advertising and linking to Amazon.com. 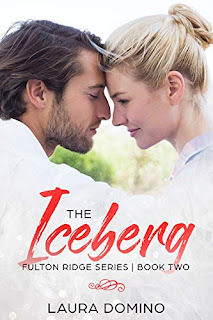 Copyright Sweet Romance Deals 2018. Watermark theme. Powered by Blogger.